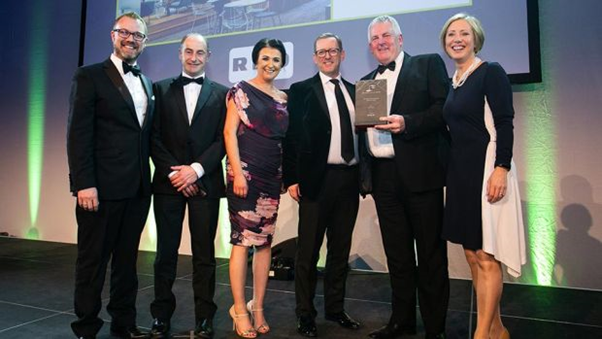 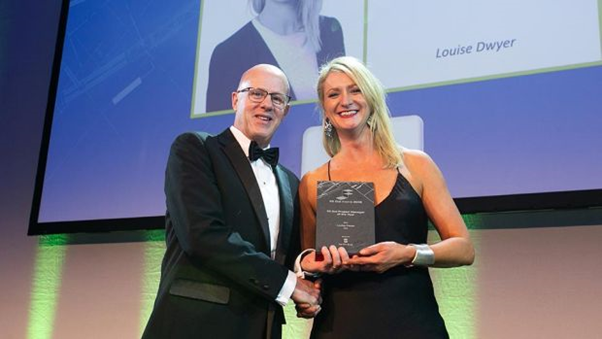 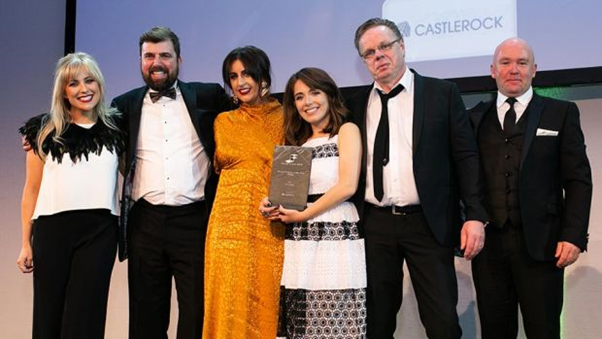 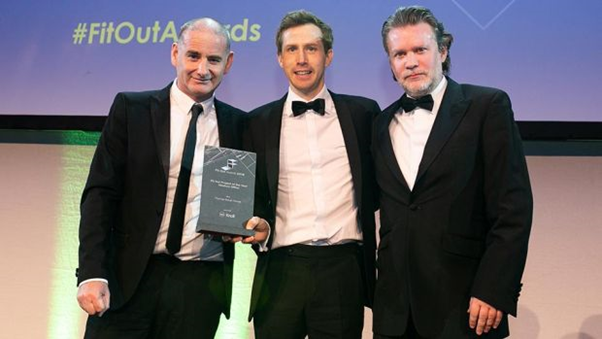 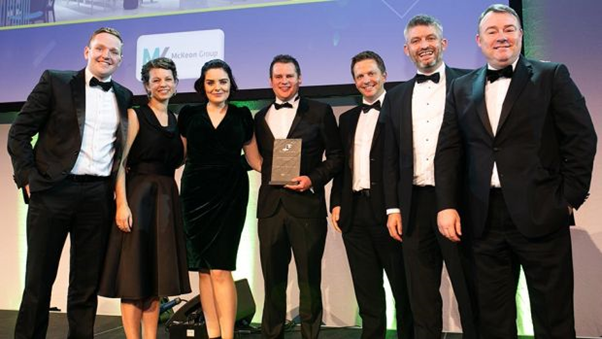 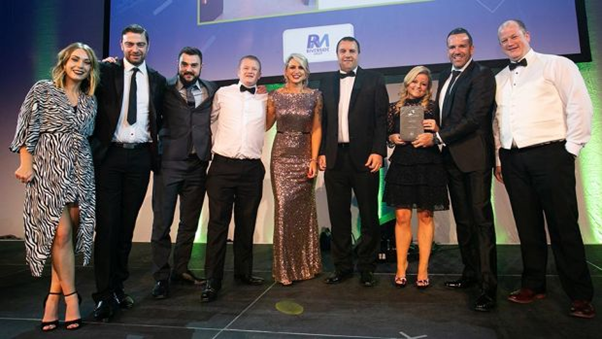 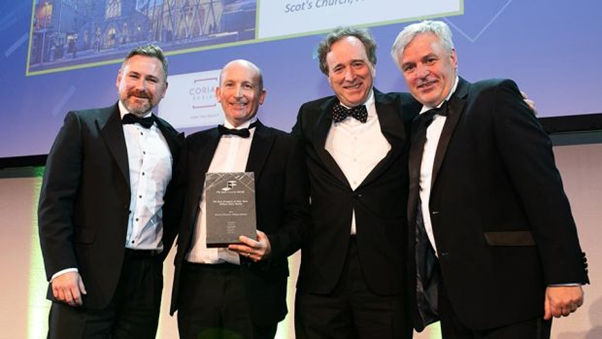 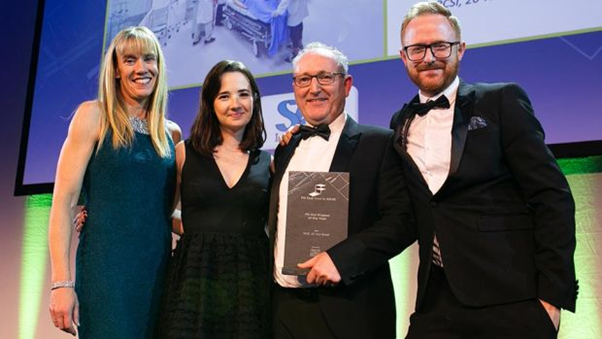 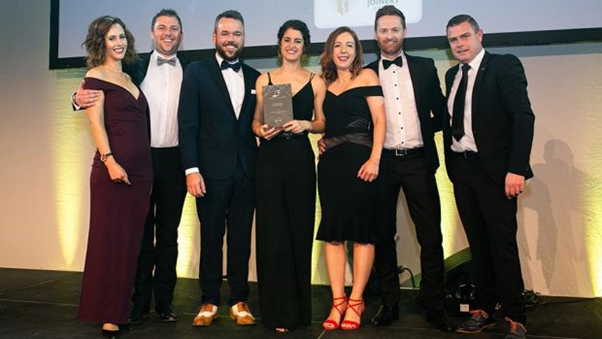 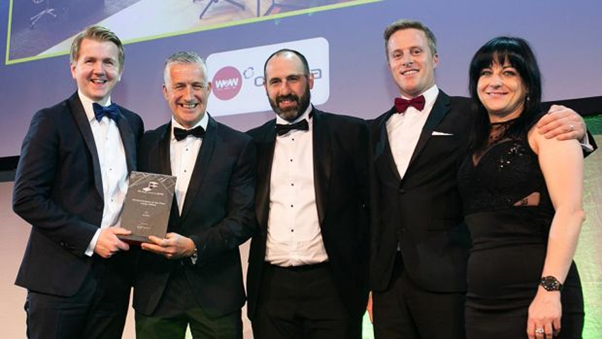 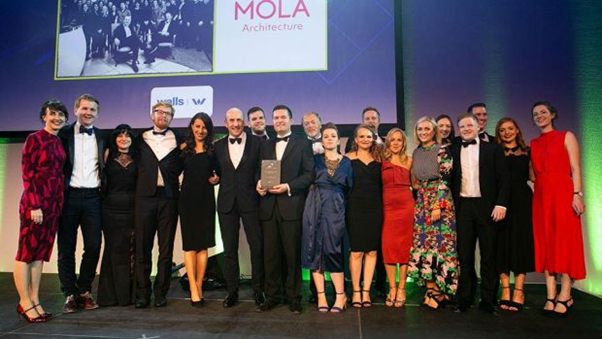 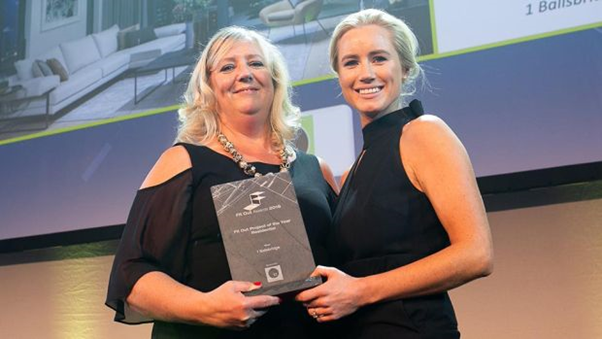 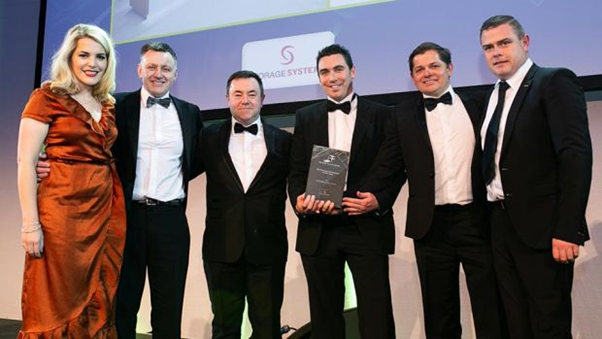 The largest Fit Out Awards to date saw 27 categories up for grabs as the biggest names in Irish design and architecture came together to applaud those who have shone over the past year. 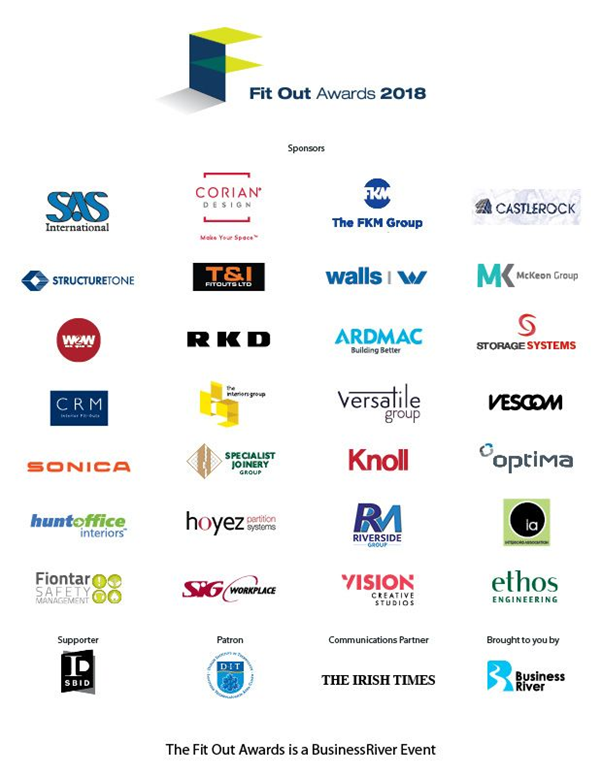 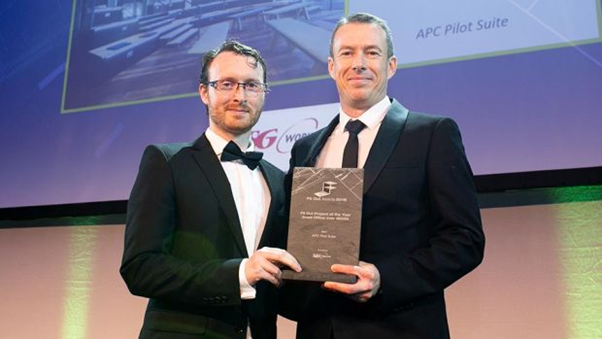 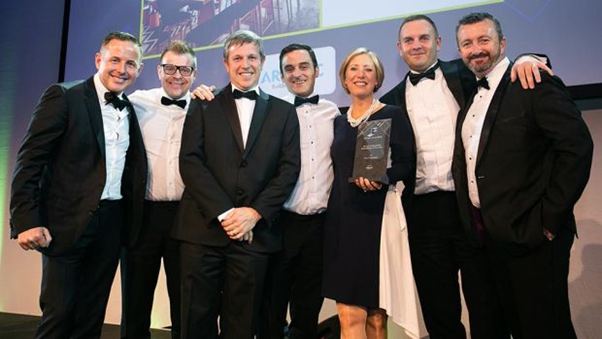 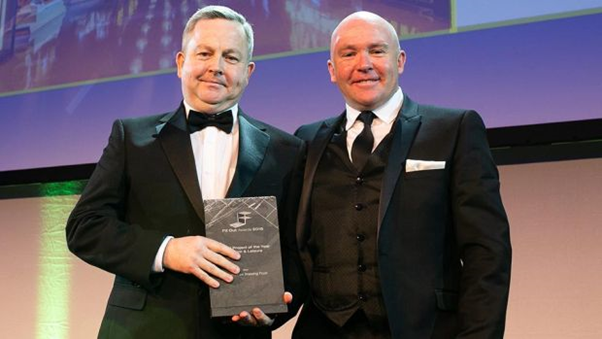 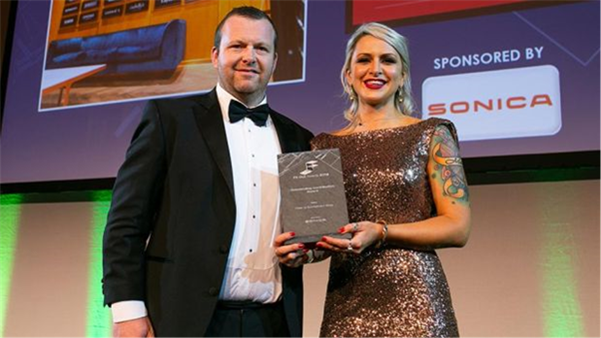 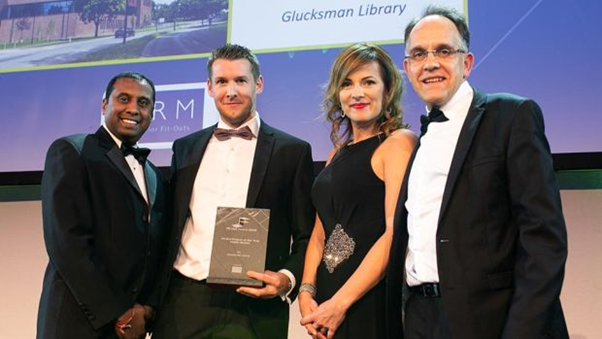 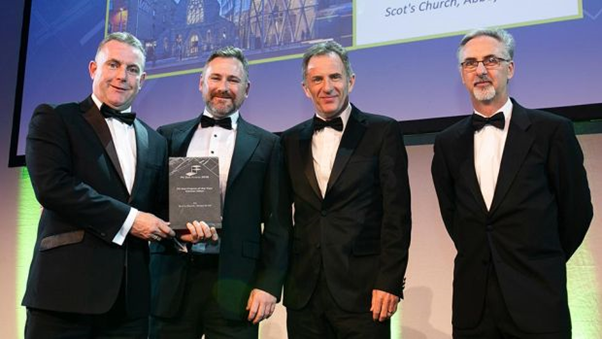 The awards are considered the event of the year within the Fit Out industry, recognising the emerging talent, innovation and ongoing collaboration within our sector. 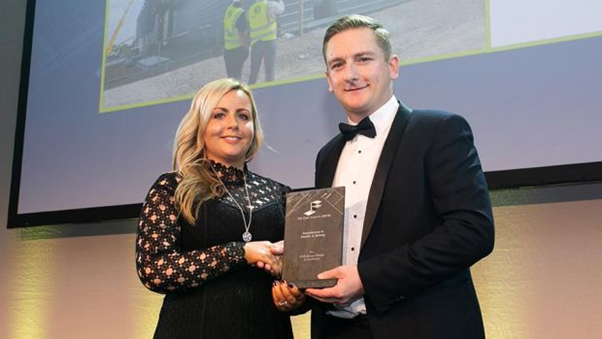 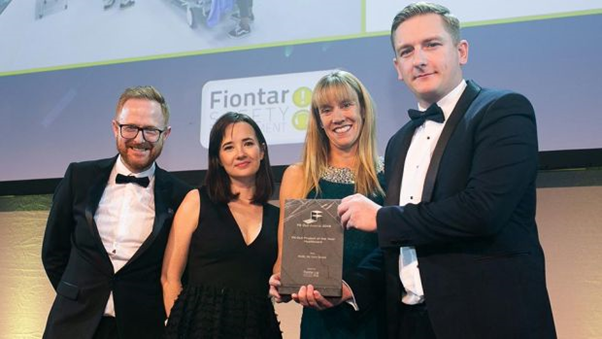 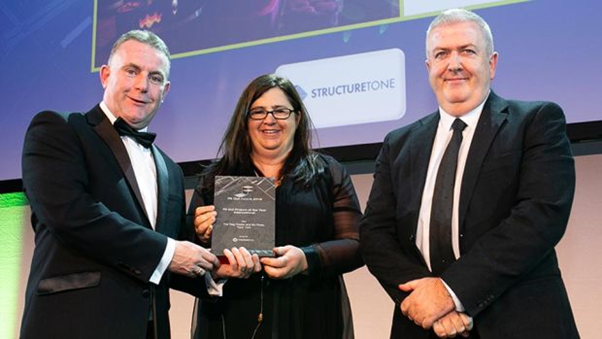 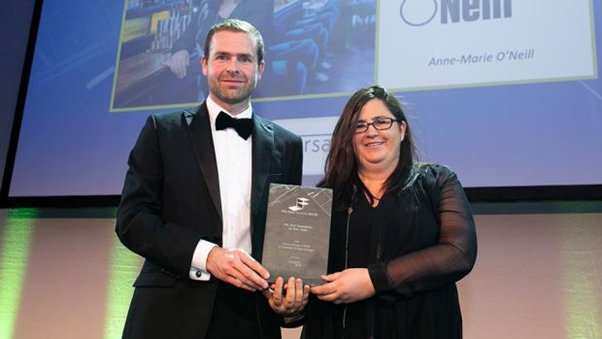 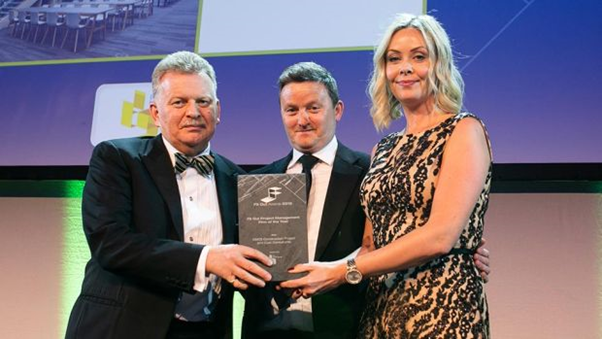 Tom Murnane, Commercial Director, StructureTone presents the Fit Out Project of the Year – International award to Graham O’Donnell & Ann-Marie O’Neill, O’Donnell O’Neill Design. 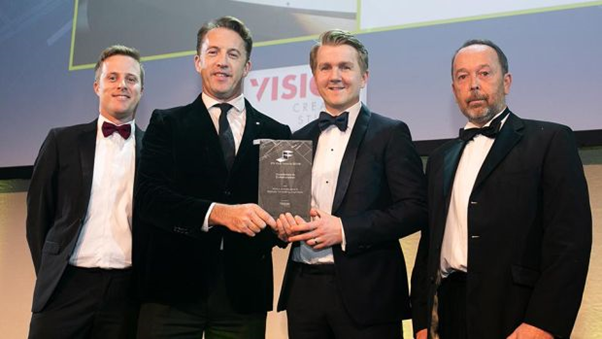 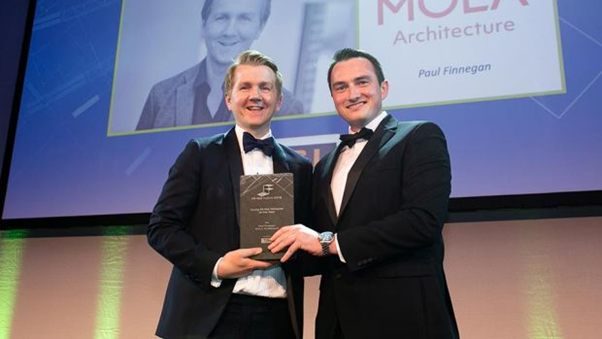 Aaron O’Grady, Managing Director, Vision Creative Studios presents the Excellence in Collaboration award to Dara Murphy, Paul Finnegan, MOLA Architecture & Chris Bakkala, Bakkala Consulting Engineering. 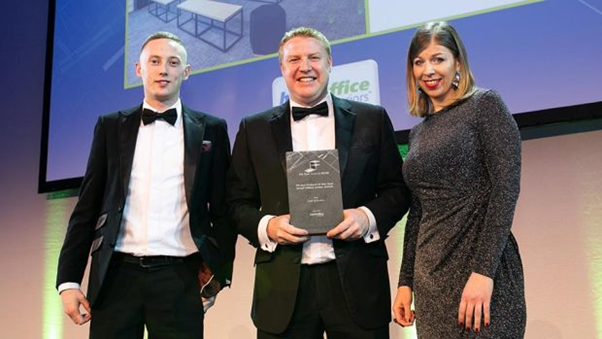 Huntoffice Interiors in Partnership with Hoyez Partition Systems was one of the main sponsors for the event.